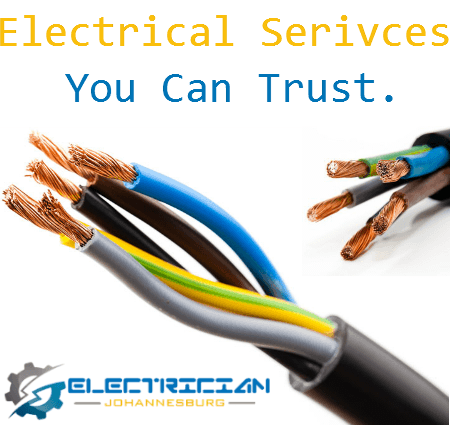 Electrician Johannesburg is here to help! If your looking for a Professional Electricians in Johannesburg with over 30 years experience in the trade, then you have come to the right place. We deal with all your electrical issues on both a domestic and commercial level from simple installs through to complex re-wiring, one call covers it all. Get in touch today to find out more on 011 568 1377. Our expert technicians are on call around the clock to provide you with a fast, efficient service that is highly regarded as great value for money. With over 30 years combined experience within the trade, our fully qualified and accredited professionals are on hand to discuss your issues and provide honest appraisals and effective solutions. In most cases, we offer a same day service and our Electricians pride themselves on the ability to quickly attend to your location no matter where you are in Johannesburg. All of our team are local to the surrounding areas and can effectively avoid traffic hot spots and congestion areas to make sure we get to you fast. We offer a wide range of electrical services to the local residents and business owners of Johannesburg and the surrounding suburbs. Whether you need a residential electricians or if you have larger commercial requirements, we can help. Fuse box blown? Faulty Circuit Boards? Power Tripping? Don't be left in the dark! 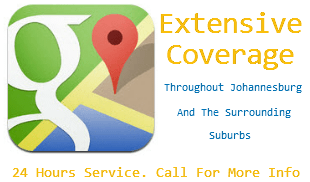 We are on call to help when you need us the most. Having to deal without power can be a very frustrating time and we understand that sometimes this happens outside of normal working hours or during the weekend and that's why we will always have an Electrician in Johannesburg on call 24/7, 365 days a year. No matter where you are in Johannesburg and no matter what your circumstances might be, call our 24 hour hotline and we'll have you sorted in no time.